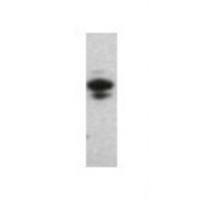 Western Blot analysis of AREG expression in transfected 293T cell line (H00000374-T01) by AREG MaxPab polyclonal antibody.Lane 1: AREG transfected lysate(27.83 KDa).Lane 2: Non-transfected lysate. 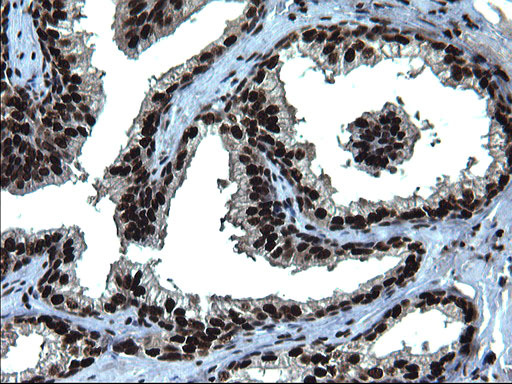 Proximity Ligation Analysis (PLA) of protein-protein interactions between CCND3 and AREG. 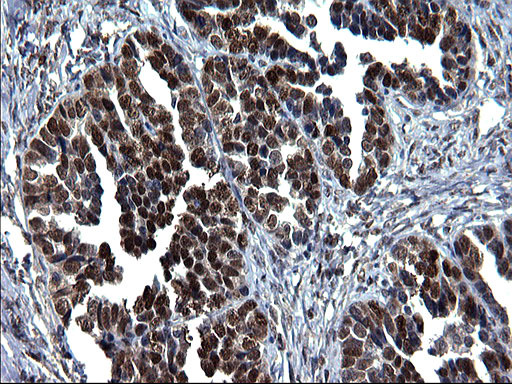 HeLa cells were stained with anti-CCND3 rabbit purified polyclonal 1:1200 and anti-AREG mouse monoclonal antibody 1:50. 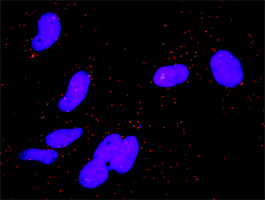 Signals were detected by Duolink® 30 Detection Kit 613(red), and nuclei were counterstained with DAPI (blue). 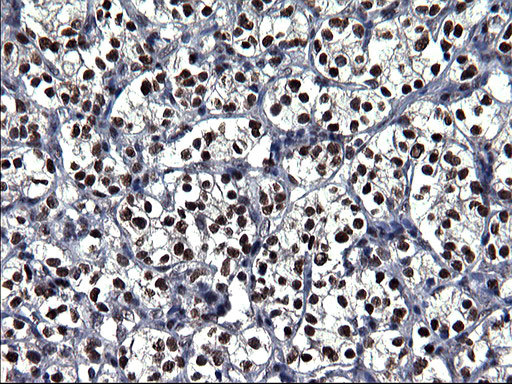 Each red dot represents the detection of protein-protein interaction complex. 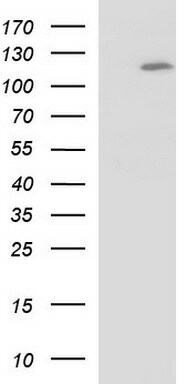 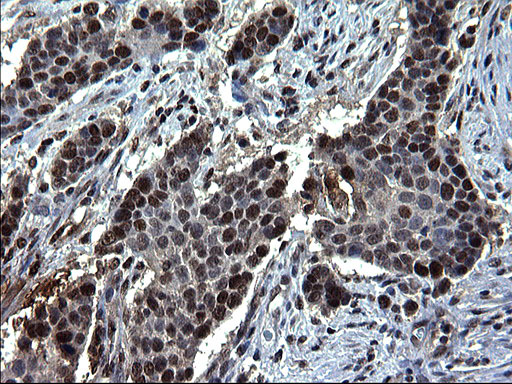 AREG monoclonal antibody (M06), clone 3E4. 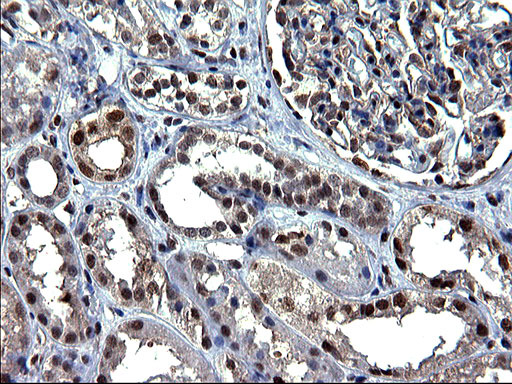 Western Blot analysis of AREG expression in human pancreas. 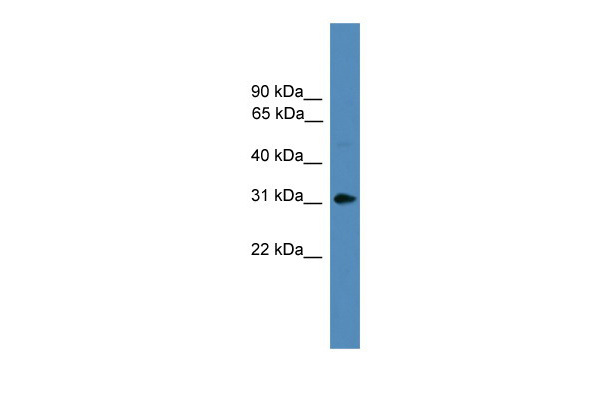 Western Blot analysis of AREG expression in transfected 293T cell line (H00000374-T03) by AREG MaxPab polyclonal antibody.Lane 1: AREG transfected lysate(27.90 KDa).Lane 2: Non-transfected lysate. 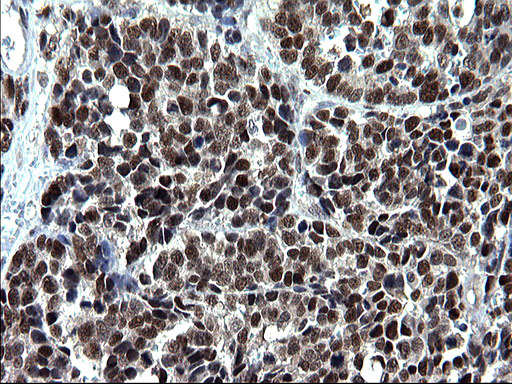 HEK293T cells were transfected with the pCMV6-ENTRY control (Left lane) or pCMV6-ENTRY AREG (RC203150, Right lane) cDNA for 48 hrs and lysed. 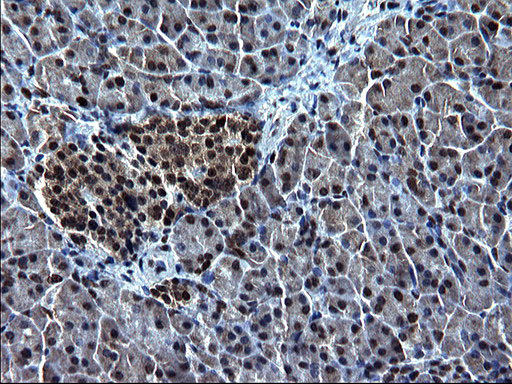 Equivalent amounts of cell lysates (5 ug per lane) were separated by SDS-PAGE and immunoblotted with anti-AREG. 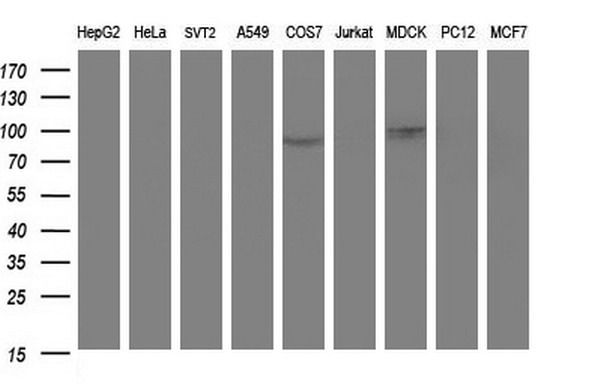 Western blot analysis of extracts (35ug) from 9 different cell lines by using anti-AREG polyclonal antibody (HepG2: human; HeLa: human; SVT2: mouse; A549: human; COS7: monkey; Jurkat: human; MDCK: canine; PC12: rat; MCF7: human). 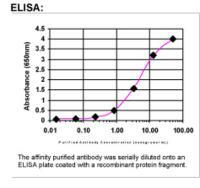 Western Blot: Amphiregulin Antibody - Western Blot was performed using affinity purified SEQer AR antibody, aa(88-187) antibody. 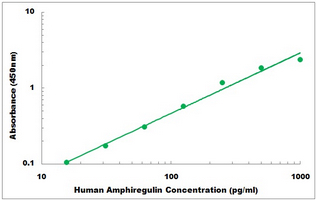 The lanes contain 5-30ug of a whole cell extract. 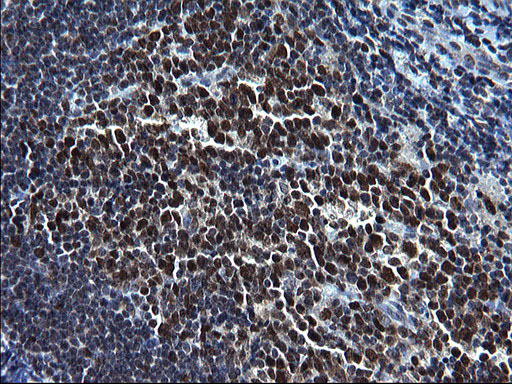 Final concentration of antibodies = 0.1ug/ml (1:10,000 dilution). 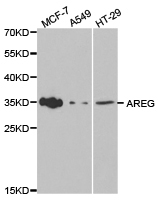 Western blot analysis of extracts of various cell lines, using AREG antibody. 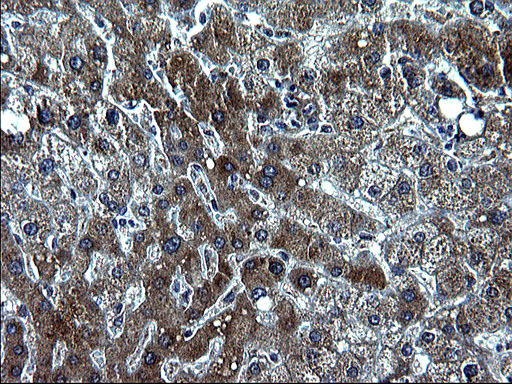 Purified recombinant protein of Human amphiregulin (AREG).